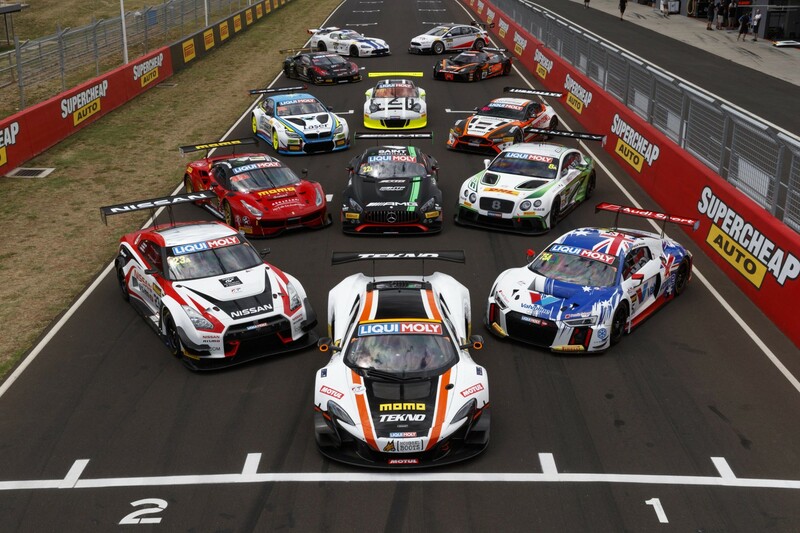 More than 40 entries from around the world have already been received for next February’s Liqui-Moly Bathurst 12 Hour. Entries are open until December for the 2018 running of the GT endurance race, on February 2-4, but squads have been quick to signal their intentions. This year’s winner, Maranello Motorsport with Supercars stars Jamie Whincup and Craig Lowndes and Ferrari factory driver Toni Vilander got the ball rolling in June. Defending Supercars champion Shane van Gisbergen starred in a Mercedes, while rivals Mark Winterbottom, Chaz Mostert, Garth Tander, Will Davison, Todd Kelly, Michael Caruso, Lee Holdsworth, Tim Slade and David Reynolds also lined up in 2017. Teams from Australia, Asia, New Zealand, Europe and the USA have lodged their paperwork before early bird entries close at midnight this Saturday, September 30. Promoted by Supercars Events, Bathurst 12 Hour camping grounds at McPhillamy Park and in the paddock are already sold out, with camp site sales up by 40 percent on 2017. Sites are still available at Reid Park and Sulman Park, and Tent City at the top of the Mountain, while grandstand seats are also selling quickly.